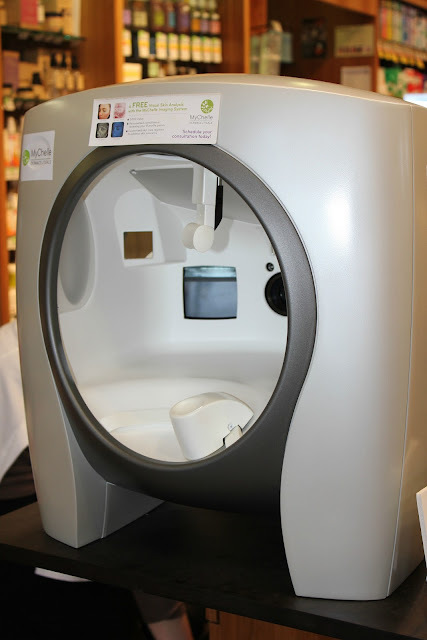 a few weeks ago i was invited to go and learn about MyChelle Dermaceuticals skin care and try the VISIA Complexion Analysis System at Whole Foods. exclusive to Whole Foods, and currently in limited stores, MyChelle is a skincare program that helps diagnose the needs of your skin, and a trained skincare professional can recommend a custom MyChelle Skincare System that works best for you. Whole Foods has a reputation for carrying the highest quality, natural, organic, and fresh products. by incorporating the MyChelle brand, they are sticking with that reputation. the MyChelle products are effective dermaceuticals (a fancy word for nutrient dense ingredients for your skin) that treat your skin without harsh chemicals. no harsh chemicals, all natural ingredients, and effective. that's a big claim. coming from a medically based background in skincare (yes, a LONG time ago i worked as an aesthetician for a Plastic Surgeon) i tend to be skeptical of products that claim to be effective without prescription strength ingredients. what i like about MyChelle is that their products come from the same vein as prescription products: Vitamin A a.k.a. Retinol, and Vitamin C a.k.a. L-Ascorbic Acid. after discussing a few things with your MyChelle Beauty Advisor, you simply take a seat, place your chin on the chin rest and get your picture taken. now comes the scary part. the "Complexion Analysis" consists of an 8 point profile examining: visible spots, wrinkles, texture, pores, UV spots, brown spots, vascular areas, and porphryins (bacteria). i can assure you that NO ONE looks good with this imagining done. it can be downright frightening, but the great thing about it is that it ranks you among 100 people of similar demographic, which gives you a initial perspective on where you could improve. then, in six weeks, you can return and analyze the improvement your skin has seen from using the MyChelle products. 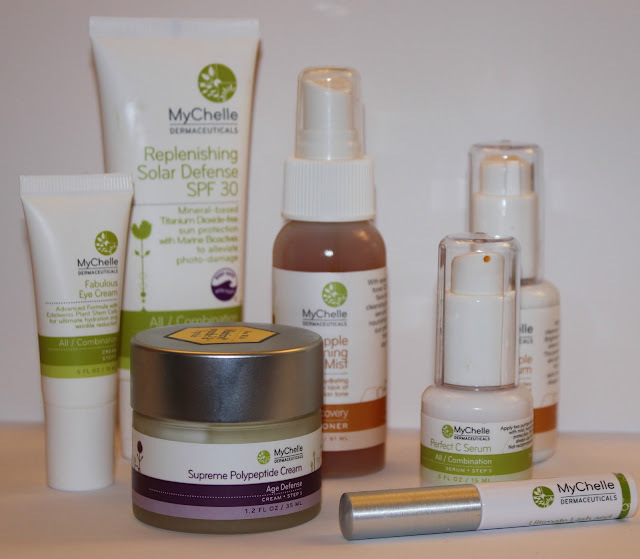 after looking at my results, the MyChelle Beauty Advisor was able to recommend a treatment plan and products to help me get find improvement in some of my problem areas (hello UV damage! didn't realize we were so well acquainted). the products are color coded and easily marked so that you know exactly what products work for your skin type, as well as, what order to use them in. as a mom, i was a little apprehensive about incorporating so many products into my skincare routine. however, after having used these for a few weeks, i found it was quite simple. plus, i have been dying to find a lash enhancing serum that wouldn't potentially turn my blue eyes brown, thank you MyChelle Lash & Brow Serum! overall i love these products. they leave my skin feeling smooth, moisturized, and clean. are they effective in improving the overall condition of my skin? i'll let you know in a few weeks after i have my analysis re-done. for now, i'm enjoying the idea of using products that are good for my skin, and my health. ps. if you don't have a Whole Foods near you, head to the MyChelle website where you can have a virtual consultation with a Skincare Advisor. interested in checking out their blog? head here. This is very cool but it would have probably been embarrassing too! It's crazy the stuff it "sees"! Thanks for such a fantastic review! 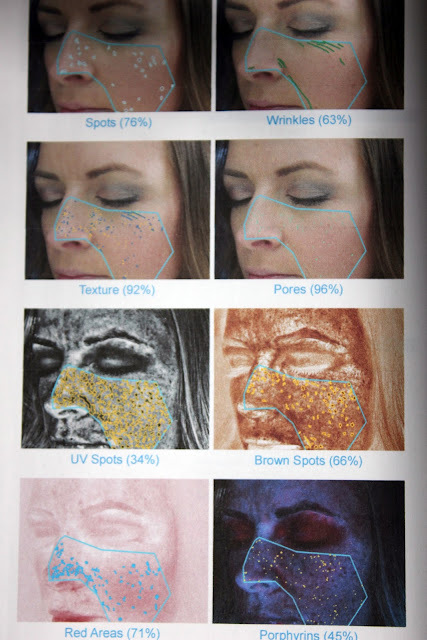 I recently did a VISIA analysis and wrote about it (yes, UV damage...really?!?!) on our blog. I will make sure to connect with you on FB (MyChelle's facebook) so others can see your post! Thanks again for sharing! Can't wait to hear about the follow up! Like! Even though it sounds scary. 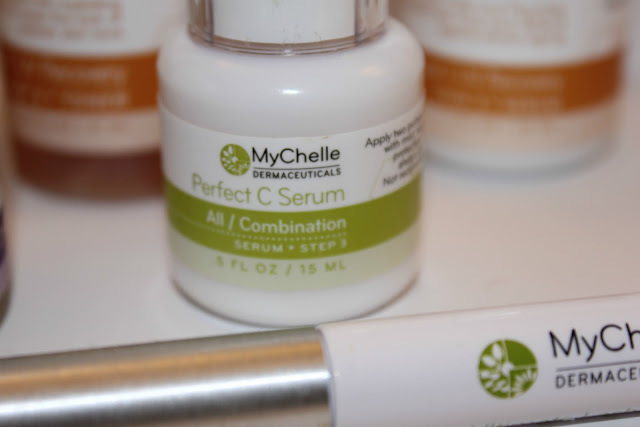 The MyChelle products are effective dermaceuticals (a fancy word for nutrient dense ingredients for your skin)Carlmont Pharmacy that treat your skin without harsh chemicals.